In the fall of 1991, the Parent Committees of Sir Winston Churchill High School and St. Laurent High School were presented with proposals from the school board for the future secondary education in St. Laurent. The plan drawing the most support was one calling for the closure of both schools and the creation of a new entity, a school combining the strengths of Sir Winston Churchill and St. Laurent while offering the best opportunities for all students in the community. 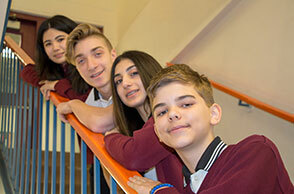 A committee made up of administrators, teachers, students and parents was created. Every aspect of the new school was discussed and after lengthy discussion, an agreement was finally reached. Gail Ewing, a staff member, created the name for the new school by combining the "Lauren" from St. Laurent and the "Hill" from Winston Churchill. 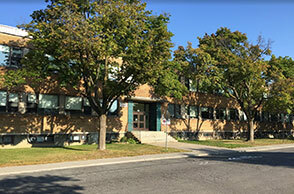 LaurenHill was born, becoming in the fall of 1992 the center of English high school education in St.Laurent. What is an educational project? The Education Act requires each school and centre to develop an educational project which sets out the mission, aims, and objectives of the school and the means of implementing and evaluating them. These objectives are part of the Managment and Educational Success Agreement (M.E.S.A) and the School Success Plan. In order for the school and the school board to comply with the Education Act article 209.2(1)(2)(3)(4), the school board and school must sign a Management and Educational Success Agreement. This must be done annually. This Agreement outlines the commitments made by the school board and the school to achieve their mission of successfully instructing, qualifying and socializing students. The Management and Educational Success Agreement defines the school/centre role in supporting the school board objectives and targets for student success, within the school board strategic plan and in line with the Ministère de l’Éducation, des Loisirs et du Sport goals. LaurenHill Academy is committed to providing an environment in which students are motivated to achieve academic excellence in preparation for the challenges andexpectations of an evolving society. all students and thus enable them to achieve their full potential.